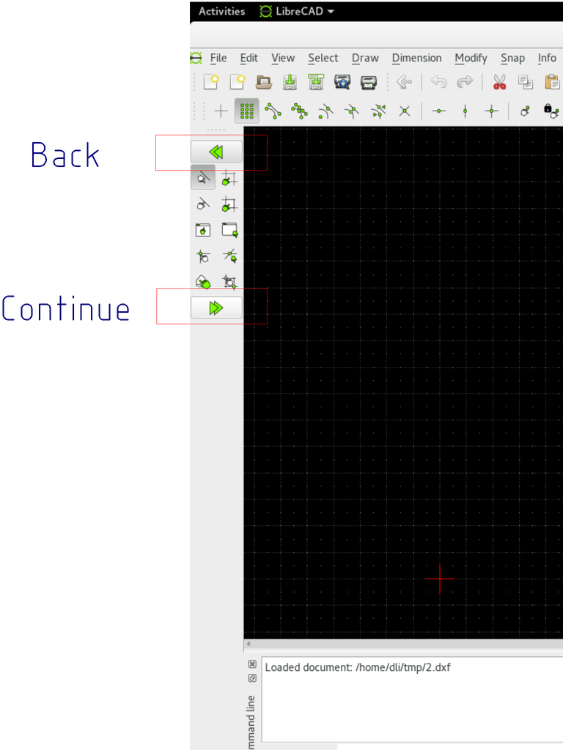 Tips ' n ' Tricks - LibreCAD 2.0 version: Buttons to trigger actions after selection entities. LibreCAD 2.0 version: Buttons to trigger actions after selection entities. For most Edit/Modify actions, the first stage is entity selection. The "Back" has the same effect as right click here.